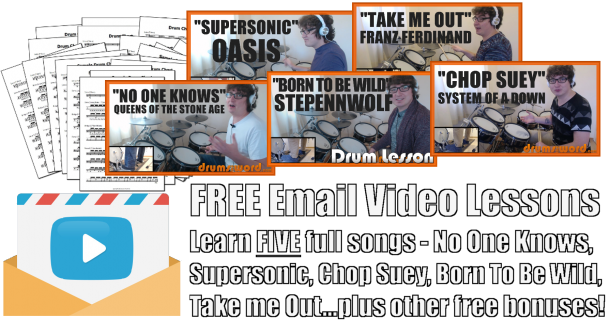 In this free video drum lesson, I want to show you how to play the cool drum fill/solo idea that occurs at 5:02 into the song “Fear Of A Blank Planet”. The band is Porcupine Tree and their amazing drummer Gavin Harrison is one of my favourites of all time! He’s a truly incredible player. The drum fill features multiple subdivisions and some really tricky hand and foot combinations, but is well worth the effort in learning. You can take so many fun licks out of this drum fill and use them elsewhere in your playing. As usual, Gavin has loads to teach us!